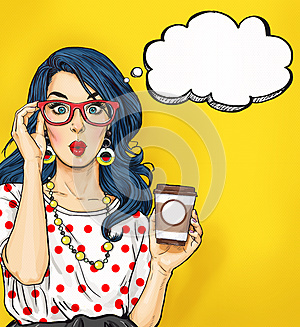 Photo title: Pop Art girl with coffee cup in glasses with thought bubble. Party invitation. Birthday card. Hollywood, movie star. Comic woman.